It’s that time of year. Acceptance letters, and the offers they hold, have either been accepted or politely declined, and higher education institutions everywhere know their student yield for 2016/17. If your institution’s yield (the percentage of students who enroll to attend your college or university out of all those students who are accepted) is lower than you hoped, it’s time to rethink your approach. Typical student yield rates are around 30%, but they can be as high as 70-80% (for very competitive universities) or as low as single digits. For undergraduate programs in particular, yield is an important metric for success, and it hinges on how successful a program is in protecting accepted applicants from deciding to go elsewhere. For most universities or colleges, yield marketing means using email and direct mail to communicate with them once they are accepted. A typical interaction would be to invite students to an accepted students’ day. The email or snail mail offer is tendered, and then the waiting game begins to see if the college or university will get the chance to sell itself at the accepted students’ day. If your institution uses this scenario, have you ever thought that while you’re waiting, your competitors are reaching out to your accepted students in a variety of ways? A digital marketing plan focused on improving yield allows higher education institutions to be more proactive in marketing themselves by creating additional points of contact with accepted students. You begin with your email list of accepted students. Extend its scope from simple emails to targeting students on various platforms, including Facebook, Twitter, and Google AdWords. Each of these can be loaded with your email list so you can then target your accepted students with digital advertising or social media posts. Let’s revisit that accepted students’ day. Where email simply reaches them once, Facebook, Twitter, and Google AdWords can get your invitation in front of them over and again. 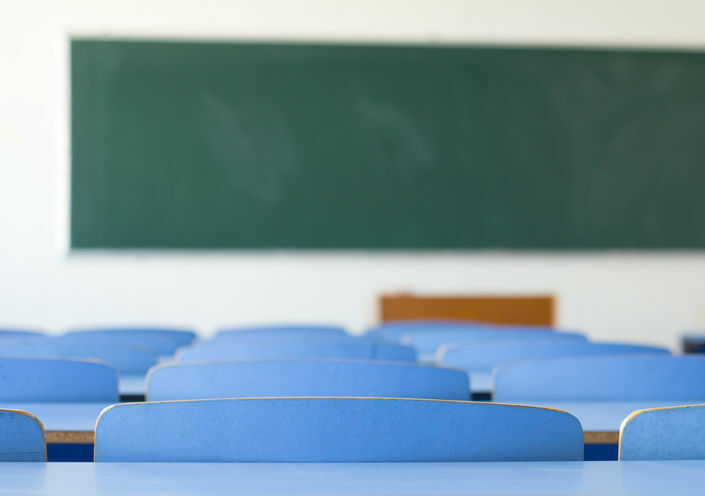 As you well know, the percentage of students who enroll is much higher if they’ve attended one of these days, so using these tactics to help promote and drive attendance to one of them is really important. Perhaps best of all, there are a variety of messages you can communicate to your accepted students. One is to visit a special section of your website created specifically for them. The area might contain photos of happy and engaged students, activities, sports, as well as videos of current students, faculty and events showing how exciting it is to attend your college or university. In addition, you can tailor this content based on the area of study each student is going into, perhaps creating additional landing pages for the larger areas of study. One point to consider when you’re using these tactics is what’s called ‘match rate’. Match rate is the percentage of correct matches between your email addresses and Facebook, Twitter, or Google accounts reachable via digital messaging on those platforms. When you load your email list into one of the digital marketing platforms, a typical match rate will be about 50% of the people on your list reached. A typical email sent to your accepted students has an open rate of 20-25%. This means that the most effective strategy uses a real mix of digital marketing tactics as well as email and direct mail to reach all your accepted students. Mike has been accepted to College A. After receiving his acceptance letter, he visits an accepted student portal on College A’s website and is added to a remarketing audience as a result. While on the web, a remarketing ad appears from College A with a call-to-action (CTA) inviting him to sign up for an accepted students day. He clicks on the ad, and it brings him to a landing page on the college site containing lots of information on what he can expect from the event, as well as an online sign up form. Mike completes the form and attends the accepted students day. Performance of the campaign is easily measured by how many accepted students have signed up to attend the accepted students day through the remarketing campaign. In addition, Mike sees an ongoing mix of videos on his social media feeds showing kids in his major having an amazing experience at College A. This helps him visualize what life at College A would be like for him, and he decides to attend. In the battle to win accepted students, digital marketing tools can effectively increase student yield by getting your message out there. Not sure what a digital higher education campaign or complete plan would look like? Check out our web marketing for higher education web page for a more comprehensive picture.